Mandy & Felix turned three years old this month. These two have been up for adoption since they were kittens. Please help spread the word, let's get these two a home! 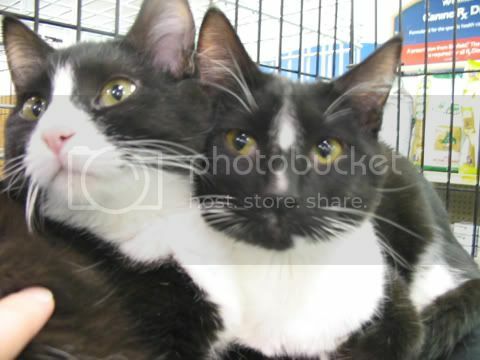 Adoption fee is $80 for both cats. They are spayed/neutered, microchipped and vaccinated. For more information go to www.caws.org or email cawsdotorg@aol.com.